The Oberweis Dairy Customer Survey is a very short form containing just a few but highly relevant questions about the business. Let them know what you think of them and the location that you visited. Read the instructions below and click the link to start answering the survey. You should be done in a snap. Your inputs will be used to improve internal policies and customer service. Oberweis has combined dairy and fast food to create a fun place to hang out in. It is famous for its ice cream, milk, cheese, and yogurt. The business was founded in 1927 in Illinois where the headquarters still stand. There are now a lot more locations in the state, as well as in Missouri, North Carolina, Michigan, Indiana, and Wisconsin. It is a privately owned-company by the Oberweis family. There are strict rules regarding their milk. They are adamant about refusing to use milk from cows that have been treated with growth hormone even if the FDA has certified this practice as safe for humans. The company wants to stick to more traditional practices and favors grazing whenever weather permits. 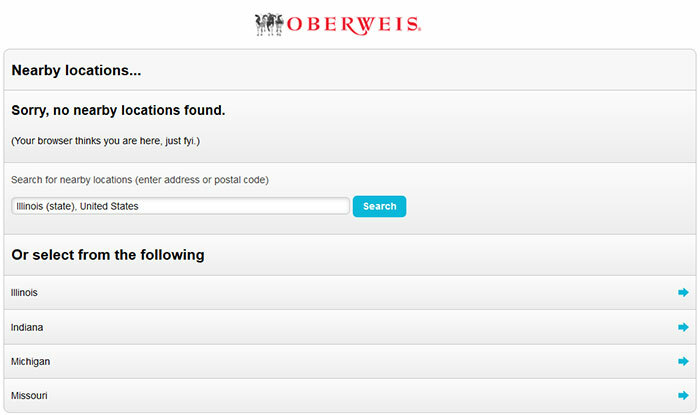 Go to the survey page at www.oberweis.com/tellus. The site will try to automatically detect your location. If it fails, you will have to manually select your nearest branch of Oberweis from an exhaustive list. Just pick your state to get started. Indicate the day of your latest visit from the calendar pop-up. Do the same for the time. Evaluate the likelihood that you will recommend the brand to other people after this particular visit. Express your degree of satisfaction with the latest Oberweis experience. Tell them whether you were able to receive your order correctly. Rate the wait time you had to endure before receiving the order. Be frank about whether the staff were attentive to your needs, friendly when asked questions, and helpful with your requests. Those who dined in will be asked whether they were approached while enjoying their treats. Tell them whether they were able to accomplish their mission which is to make you happier and give you delicious treats. If there is anything else that was notable about the experience, then feel free to write about it on the text-box provided. Inform them if you would like to be contacted by a representative regarding your recent visit. Click DONE to submit the form.